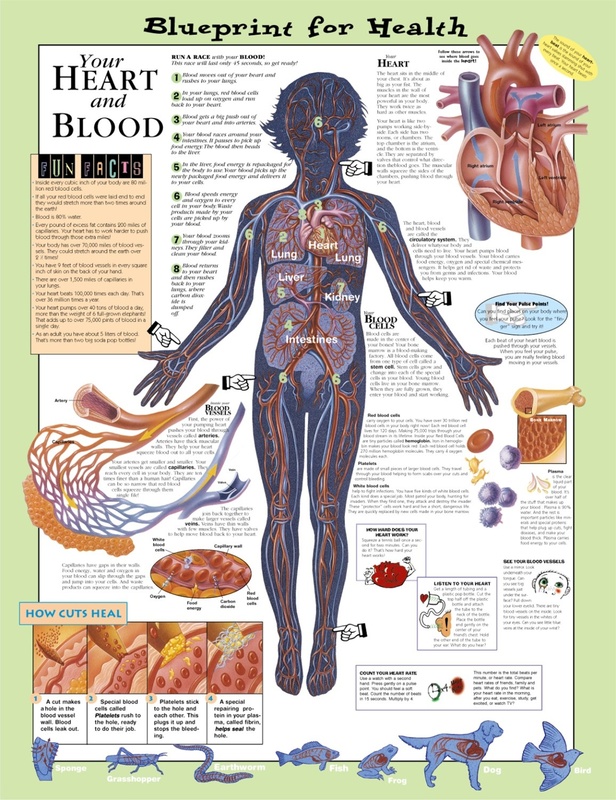 Describes the circulatory system and challenges the child to "Run a Race with Your Blood" - a fun way to illustrate how the blood works its way through the body. Illustrates and describes the role of the heart, blood cells and blood vessels. Shows how cuts heal, includes fun facts ("If all your red blood cells were laid end to end they would stretch more than 2 times around the earth.") 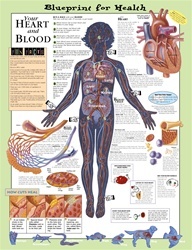 and details fun things to try in the classroom or at home to show how the heart and blood works. Suitable for 8-12 year olds. Colorful, anatomically correct illustrations Bright colors and bold figures make learning fun. Available in 2 mounting styles.